I thought I’d start looking at cosplay materials as well as some advice as to where you can get them. This is to document for myself some of the materials I’ve used in the past along with materials I am using at present and in the future. I’ve mentioned this product before, but I’m actually genuinely impressed by the versatility of Worbla. This post is dedicated to the thermoplastic: Worbla. For those who don’t know much about it, I attempted to use the product to create my Edward Elric arm. 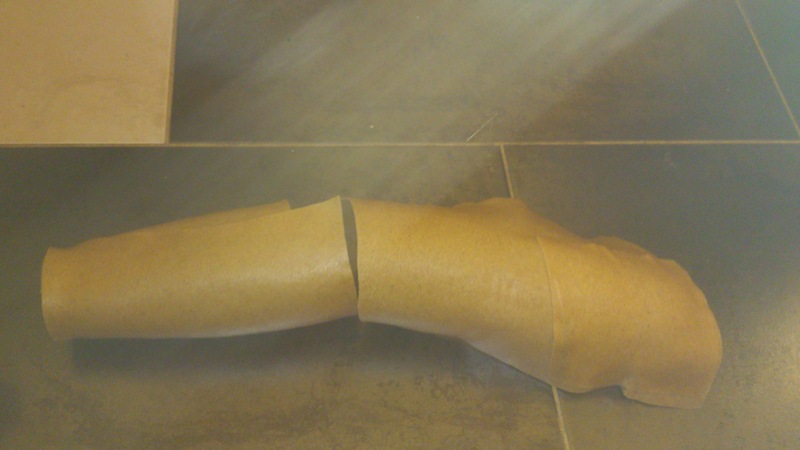 Whilst it worked, it was a bit too stiff for an arm so I will use EVA Foam when I remake that arm soon enough. A picture from a previous blog piece during the crafting stage of the arm with Worbla. I potentially could still make that arm out of Worbla, though I am thinking I might need to cast my arm properly before I work with it. This is besides the point of this article, however. Today, I’m going to talk to you about the basics of working with Worbla, as well as how to get the most out of it. 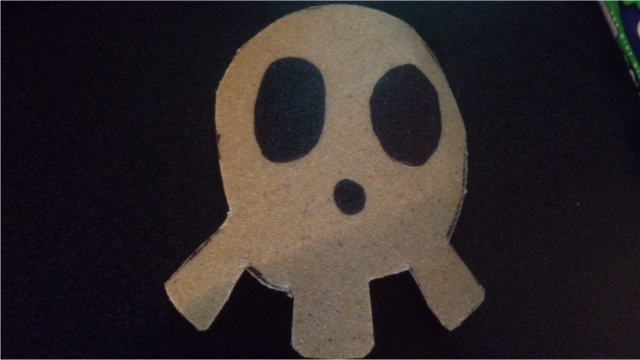 Worbla is a thermoplastic which means it’s a plastic that reacts to heat. 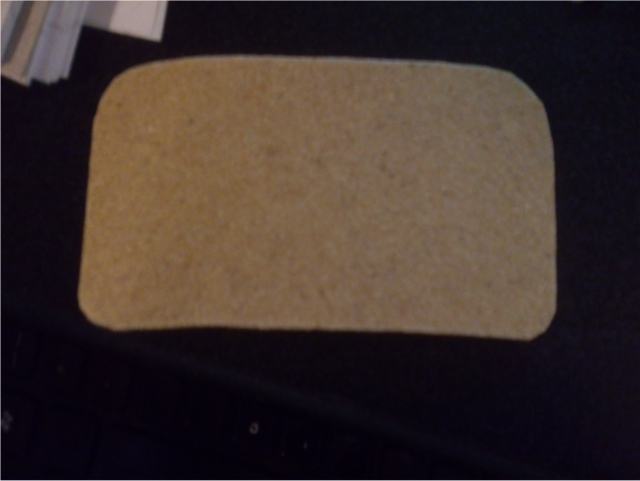 Worbla comes in a brown-like colour and comes in a big sheet. You can cut it however you like and then shaping it is even easier. You can cut the Worbla simply with scissors, no specialist equipment is really needed to use Worbla at all for the hobbyist. I would recommend using some way to measure the things you are cutting as well as some strong scissors as Worbla is quite tough when cooled down. After all, this is plastic! This is some simply cut Worbla which I will be using as part of my improved Edward Elric costume. DIY is fun! The best point of Worbla is how versatile it is. You can completely snap it apart then melt it back together and roll it back out to reform it. It’s almost magical and a great material to use in cosplay. I would recommend not going as extreme as I did with a worbla arm, however if you want to make pieces of armour, or belt bucklers, etc then Worbla truly is your material. I used Worbla to create the effects of my Oscar Kass belt buckler because it’s a durable piece of material, and it does the job nicely. My Oscar Kass belt buckler. It’s not perfect, but one day even this will be perfected! The back of Worbla gets sticky when hot, which is how the belt buckler will be stuck to the belt: By heating the back up, letting the self-adhesive “glue” back get hot and pressing the belt into it. This will only take a few minutes to go from unbound to bound to another material. 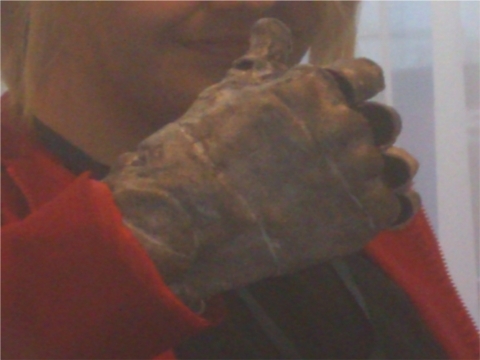 So, whilst you can’t see it so well here (I’ll try to improve the quality of the Worbla arm at some point!) I made the full arm out of Worbla and the hand too. This shows how easy this product is to use and how you can layer it to make something truly complex. This is a quick snapshot of the hand itself, which turned out a lot smoother than this. This alone shows the versatility of the product. I was able to use the whole hand, although I will admit that playing card games such as Magic: the Gathering became a bit of a task. With experience, Worbla could truly be one of the products a cosplayer puts in his or her “must have” materials. Use acrylics paints as it seem to be the staple for painting just about anything in cosplay, seriously! The finished Worbla hand – To be honest, there’s a lot more I can do and I know I can do it better. It’s just a case of time now. Amusingly, I ended up using a combination of an acrylic undercoat and then I used T-Cut of all things to make this grey-ish silver effect on the hand and arm. T-Cut is something you put over cuts and scrapes on cars, not really supposed to be used for cosplay but hey, you sometimes just have to make do with what you’ve got. Point is though, if you stock yourself up with acrylic paints, you’ll be able to detail that Worbla in whatever ways you want. Trust me here: There’s a lot of ways to decorate Worbla. As a complete novice like me, considering even I was able to make something that somewhat resembled an arm, I am proud and I am sure there are those of you out there who have made something out of Worbla that just looked superb. Have you ever used a thermoplastic yourself? What about Worbla? Does the pricing interest you or is it too expensive for a cosplayers material of choice? Let me know in the comments below. Join us next Friday for another Cosplay Materials post, where I’ll be looking at another fun material.